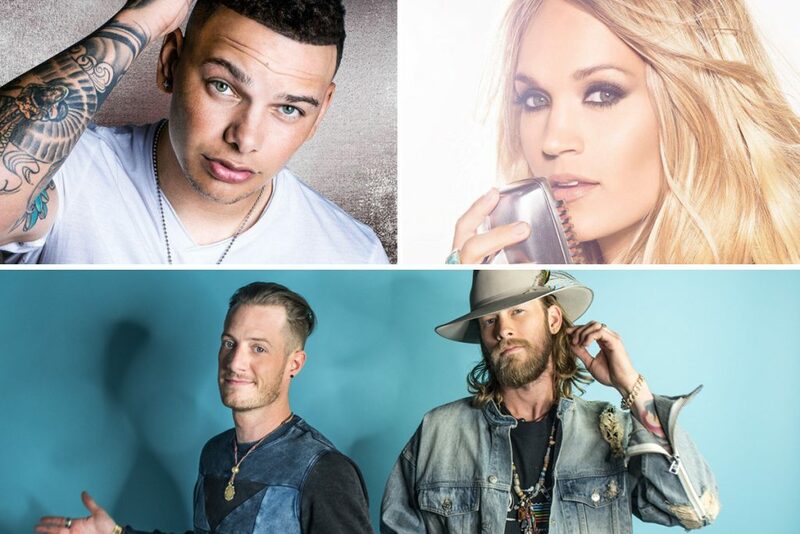 Kane Brown tops the Nielsen Soundscan country albums sales chart this week, with 14.5K units of his self-titled debut sold this week (total consumption). Thomas Rhett‘s Life Changes comes in at No. 2, with 14K, followed by two Chris Stapleton entries. Stapleton’s 2015 album, Traveller, is at No. 3 this week with 11K, followed by From ‘A’ Room: Vol. 2 at No. 4 with 10K. Luke Bryan‘s What Makes You Country is at No. 5 with 9.4k. Carrie Underwood has this week’s top singles debut, though not on the country charts. Her song “The Champion,” ft. Ludacris, debuts at No. 3 overall, moving 61K. The top country song this week is again Bebe Rexha with Florida Georgia Line on “Meant To Be,” which moved 39K this week. Dan + Shay‘s new single is this week’s top country debut; “Tequila” is at No. 2 with 30K. Thomas Rhett‘s “Marry Me” lands at No. 3 with 20K. Kane Brown‘s “Heaven” is at No. 4 with 14K, and Walker Hayes has the No. 5 song with “You Broke Up With Me” moving 12K. Upchurch & Colt Ford debut at No. 10 Country and No. 60 overall with “Shoulda Named It After Me,” selling 9K.